You might think we could convert our smartphones into the perfect TV remote control since our smartphones offer a wide range of features and options. However, to do so can be a little tricky since each TV, DVR, DVD, Blu-ray player, and any other entertainment system device is different. On top of that, getting your home entertainment devices to “talk” to each other through your smartphone does require some type of remote control app. 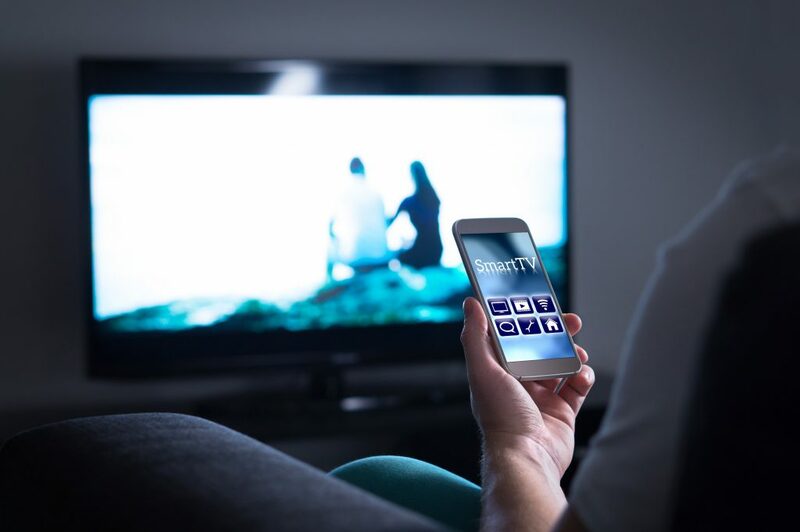 In addition, the type of setup you have in your home to watch TV—cable, satellite, or streaming services—can affect how well an app will or will not work. Roku: This app is for Roku owners and allows you to control just about everything you would want by using the Roku TV remote control. Plus, you can plug your headphones into your smartphone to listen to programs as you watch them on your TV. AnyMote: This app allows you to set up macros to control multiple connected devices, including adjusting the light levels in your home. It is also compatible with Alexia. Peel: This app works over wireless networks, as well as IR, with an IR blaster. It also includes a program viewing guide, as well as options to control other smart home devices. Sure: Sure is another smart home app, and it focuses primarily on your home entertainment system. You can even send videos, pictures, or music through your smartphone to other connected devices. Google Home: This app is for people who have Chromecast or Google Home devices. It is fairly easy to use and includes a variety of remote control features like changing the volume. If you have an older home entertainment system setup and cannot find an app on your smartphone, you can still get a universal remote control from ReplacementRemotes. Shop online or call us at 1-855-573-6683 today! Previous story How Does Your TV Remote Work?